2013 has been a hard year for me. And it truly felt like I was being challenged in more ways than one (physically, emotionally, spiritually, financially). The number of trips that I made this year may have been less compared to 2012. But I still thank God for blessing me with plenty of life-changing experiences. 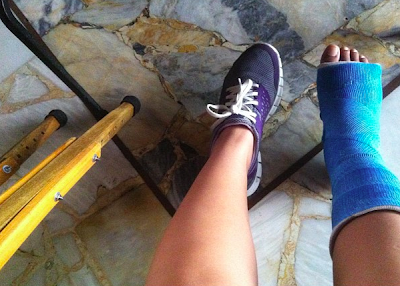 My right foot's 5th metatarsal broke in March, which kept me from having to work and to travel (was already bound for Tacloban the next month when this happened). Plus, a nasty skin ailment progressed all over my body during my immobility. I couldn't get myself checked at the time since I could barely walk with my foot cast. So things worsened through those months. And by the time I consulted a dermatologist, a new set of expenses came pouring like rain. By then, my spirit was already dampened as cancelled trips were made, and when potential projects had to be declined. I was depressed for several months because I felt sick, helpless and penniless. My savings were gradually depleting, which lead me into asking loans from family members (something that I'm not used to doing). And two months after my cast was removed, I contracted another illness. If you've heard of the notorious Chikungunya virus (with symptoms similar to Dengue Fever). Well, I had that too. "In the Book of Job he is presented as a family man who lives a good and prosperous life, but is eventually beset with horrendous disasters that take away all he has, including his family, his health, and his property. Job struggles to understand his situation and begins a long search for the right path that will get him out of his extremely difficult situation. Against all odds, with God's help, Job is restored to a semblance of his earlier existence." I knew that I was going to get better after much reflection. And I felt God's loving spirit reassuring me that the worst is about to end. Soon enough, I was back on my feet again. I may not be a 100% healthy and fit. But I'm definitely back on track. Other than a renewed hope for my health and life in general, I still had a lot of blessings to thank for this year. I got to see up close some of the most awesome-looking Hot Air Balloons in Clark, Pampanga. 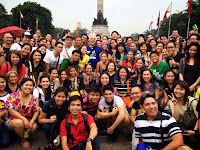 But other than that, I also got to meet a few Pinoy Travel Bloggers, who I've become close friends with thereafter. I'm also thankful for new projects that were offered soon after recovering from my ailments --- which also helped fund for several staycations within the metro (Orion Hotel, Great Eastern Hotel, iSuites Hotel, A.Venue Suites). I'm also grateful for travel sponsors who've partnered with Budget Biyahera, and who've also believed in my vision. 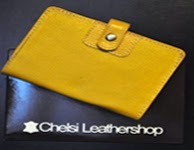 Thank you so much for all the love and support Chelsi Leathershop, TravelBook.ph, Lagu, Towelite, GO Hotels. Thank you for letting me have this opportunity to promote the best Philippine products and services that our country has to offer. I hope to work with you all again real soon! THE TRAVEL BUG LIVES ON! I'm also grateful for travels that have finally pushed through (Infanta, Quezon with my family;, Chinatown Food Trip with PTB's Jherson, Gelai, Nil, Mina, RJ, Romel;, Eastern Visayas road-trip with Cuks, Ephraim, Felix, Benjie & Tam-Tam;, Baguio with my brother, and Malaysia with Rubel and KL-based travel /fashion blogger friends Krissy, Joey, Riz & MJ). I'm truly blessed to have finally traveled again, especially with the presence of old and new friends. Truly, nothing compares to being in the company of like minded individuals. I'm just so grateful that traveling has brought this kind of joy in my life. 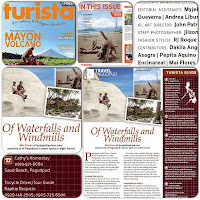 I will always be thankful for the writing opportunities that have been given to me this year, especially those that have been printed on Travel Magazines (Turista and Cebu Pacific). Those to me, will be a great lasting legacy. 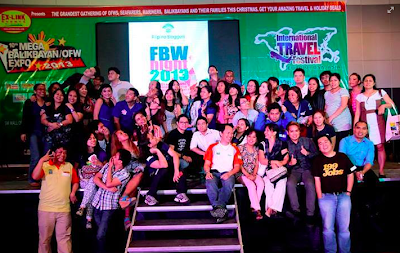 I will also be forever humbled to know several remarkable travel bloggers, who I've come to call as friends. Truly, nothing beats meeting with like minded individuals who will always inspire you with their stories and experiences on the road. I may have been spared from experiencing the wrath of the massive tempest. But I will forever be pained by the agony, loss and despair that my friends have gone through. But despite the storm and its effect in Eastern Visayas, a lot of love was still shared throughout the tragedy. That's why I'm deeply grateful to everyone who's helped us raise funds for immediate family and friends who got hit by the Supertyphoon. My gratitude also goes out to everyone around the world who've unconditionally reached out to our fellow countrymen. No words will ever be enough to express our indebtedness to you guys. You are all heroes to us! Mabuhay kayo! I would also like to acknowledge (friends and family) the support that we've received for our OPLAN PALIGO cause. All the complimentary hotel bath essentials that we've collected has definitely reached our Sintang Kabataan families. 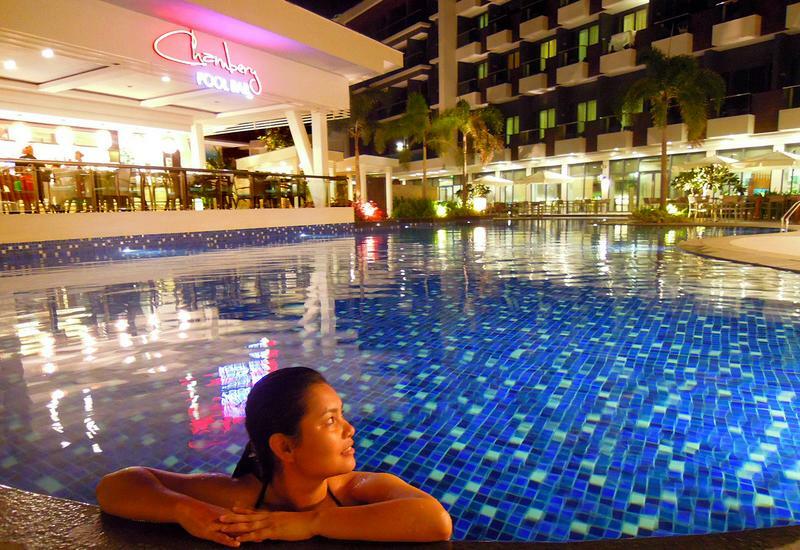 This is my entry to Pinoy Travel Bloggers’ Blog Carnival for December 2013, with the theme: “Closing the Curtains on 2013: Love, Learn and Living.” Hosted by Brenna Bustamante of The Philippine Travelogue. we all have our ups & downs this 2013 (my lowest, saddest moments actually!) but what matters most is to count our blessings! uy, nagpunta ka pala sa penang, i assume with claire? sayang i didn't get to meet you there. 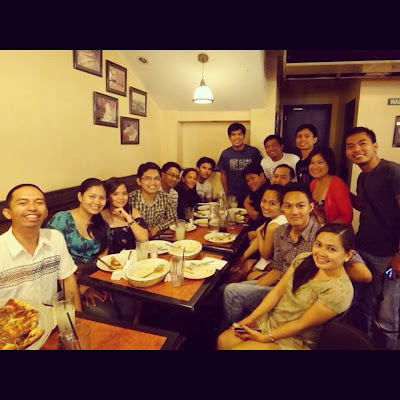 nonetheless, still glad i was a part of that pre-xmas party dinner; ang saya! cheers to more safe travels & a lot lessons to learn! happy new year! God bless. Even with the challenges, I think you still had a great year. Keep the positive attitude and keep traveling. I think that's the best way we travel addicts heal. Great year on the overall for you idol Mai. More travels and adventure for you in 2014. Sana sa 2014 kasama ako sa year-end post. LOL! I love you friend. Your one of the true treasures I have found this year. Happy new year! God bless you! Mai I didn't know it was a serious accident! I was checking your post / status on FB about postponing some trips and the airlines not being very accommodating and stuff but I didn't know the extent of the pain you were going through! I'm sorry to hear that. But the good thing is the "tribulations" is but just a small moment and like Job (which you quoted), may the new year and years ahead be better than your beginning!! Though your 2013 may have full of challenges, but you're able to overcome it by God's grace. Thank you for the opportunity of meeting you on the road and Hoping you (and beau) the best in 2014. Happy New Year! Getting sick for that long is truly a challenge, I am glad that you were able to find your strength get back right on track. Despite that, I still think this was a great year for you! I hope to meet your soon. BTW to answer your question on my blog if I am a fashion designer, it’s a sideline lang po, still aspiring to become a fully grown one hehe... Cheers po for 2014!! Thank you, Claire! :) And same here. Sana longer chikahan na next time around. :) See you soon? Happy new year teh!! Hope to see u again! More travels pa in 2014!! sana makasama kita sa travel ng bongga! And I misyu na! :) Thank you sa pagbisita dito ulit.. kahit man lang online, makapagChikahan pa din tayo.. pagbalik mo, kailangan mo akong kitain ulit! Hahaha! Mandatory na yan! :) Keep safe always, and more travels your way (hindi ito impossible sayo, kaw pa!) Mwah Mwah! And no more PO's please! Hahaha! I actually graduated from a fashion degree course (Clothing Technology in UPD to be exact). Pero I changed careers. :P Kaya for your, continue to pursue your passion for designing more lovely bridal dresses. Malay mo, maging future client mo pako (nagaabang pa kasi ako ng proposal, LoL). Hi Marj!!!! 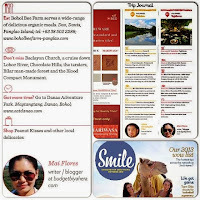 One of my fave travel bloggers of all time.. heheh! Thank you for the well-wishes. I really appreciate it. I wish nothing but the best for you as well. Of course, here's to a more prosperous new year.. :) I'm also hoping to meet you on the road (or anywhere actually hehe) real soon. :) Mwah! Yay! Though you've been through some challenges this year Mai, I love it when you said that there are things to be grateful of. And the great things that happened to you will surely kick away those downsides. And mukang ang saya-saya pa rin ng 2013 mo in spite of the circumstances you have to go through! That's the spirit of joy - it lives on! Happy New Year! More joyous journeys this year! Gosh! never knew you've been through a rough times anak. But God has reasons why He let these illnesses happened. Good thing, you are now back in action. 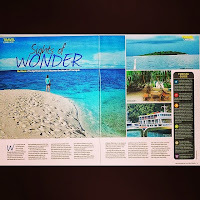 Don't you worry, God has so much thing stored for you (travel wise) this 2014. Congratz on a year well-spent Mai! Yes, batchmate! Here's to more travels din sa ating lahat this year! And you're welcome sa regalo. :) Gora lang sa pag gamit til mapudpud. Hehehe! The good news is, despite all the not so good things that happen to us (blessings in disguise! ), God loves us, God is faithful! Glad you are well and ready to make new memories! nice reflection on your 2013 travels and life... and great for quoting Job's book too. have a great travel and life ahead! Wow! It was a good year for you :) Sana more travels and adventures (plus partners) sa 2014. Go and explore the beauty of different places all over the world! i want to see hot air balloon here in malaysia hehe must plan to go there somewhere this mid-year i think. miss you Mai! Cheers to more travels and blessings! My goal in 2014 is to be like my idol Mai. 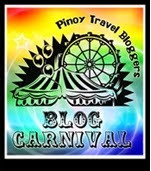 Will be doing more travel blogs. God bless you sister Mai. God never abandons his soldiers in a great war (you know what I mean here). Just continue your quest and He will guide you in every direction. Keep up that spirit! Revisiting...Indeed a great year for you anak. Wish ko lang na this 2014 I can hear those wedding bells. Thank you, Demi. :) God is very gracious, indeed. Happy 2014 to you too! Hi Algene! It was a great half-year (the latter part that is). =) Happy 2014 to you too! :) And yes, more travels to US! May hot air balloon fest na din sa Malaysia? :) And I miss you too teh!! Kung isang jeep lang ang KL, malamang andyan ako sa inyo parati! Hehehe! Happy 2014!!!! Amen! Thank you sis! Happy 2014 to us! :) It'll be a great year ahead.